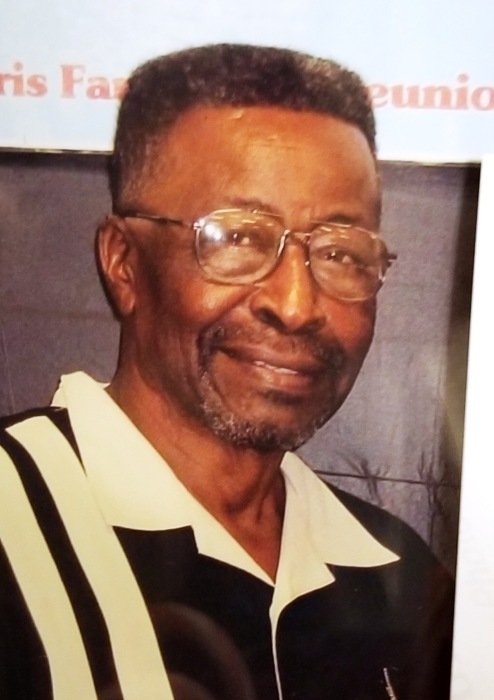 Jerry Wallace Williams, Sr. was born J.W. Williams on March 13, 1947 in Madison Training School and graduated in 1967. After graduation he joined the United States Army was stationed at various Army Bases. He also completed a combat tour in Vietnam and served for 21 years and retired as a Sargent 1st Class. He was awarded the Bronze Service Star, Republic of Vietnam Campaign Medal, Bronze Star Medal, Combat Infantryman Badge, Natural Defense Service Medal, Overseas Service Ribbon, Army Good Conduct Medal, NCO Professional Development Ribbon. After retirement he relocated to Abbeville, Alabama and became a member of Northview Christian Church. Known to many, he has spread his infectious sweet and fun-loving spirit to all he met. He loved to work he was called to do at NCC, he was an Usher and worked in the bookstore. He later moved to Dothan in 2011 after his matrimony to Bernice Baker. He was preceded in death by his parents: Susie Rebecca Rhim and Jon Wesley Williams, Sr.; daughter: Crystal Nicole Walker Stuckey (Deverris). He leaves to cherish his memories a devoted wife: Mrs. Bernice Williams; children: Jerry W. Williams, Jr., Madison, Florida, Marcus S, Williams, Brunswick, Georgia, Al'Lre J. Williams, Jacksonville, Florida, Felicia Baker, Brian Baker (Jessica), Dothan, Alabama, Tahriq Baker (Jenny) Augusta, Georgia; siblings: Susie Williams Tice (Mozelle) Gainesville, Florida, Estella Williams Walker (Willie) Orlando, Florida, Joi Williams Milton (Don) Orange Park, Florida, Bobby J. Williams, Sr., (Bernice) Palmyra, TN, John W. Williams Jr., Madison, Florida; two sister-in-laws: Mamie Davis, Washington, DC and Catherine Dawkins, Dothan, Alabama; eighteen grandchildren; four great-great grandchildren and a host of other family member and friends. A special father and mother in love, Pastor James and Nathalee Thornton.